Doesn’t the story of the rich man and Lazarus in Luke 16:19–31 teach an eternal hell of torment? Matthew 25:41 speaks of everlasting fire for the wicked. Does it go out? The Bible speaks of the wicked being tormented forever, doesn't it? The Bible speaks of 'everlasting punishment' for the wicked. Doesn't this indicate that the soul is immortal? The Bible says hellfire will not be quenched and their worm does not die. Doesn't this show that the soul is immortal? 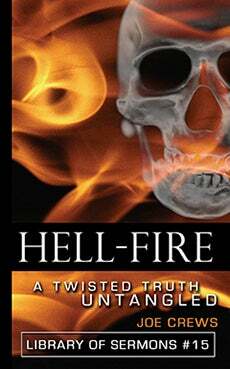 Because so many have believed that hellfire will burn its victims endlessly, it must be true ... right? The Bible states that God alone has immortality (1 Timothy 6:13-16). How does this apply to Satan?